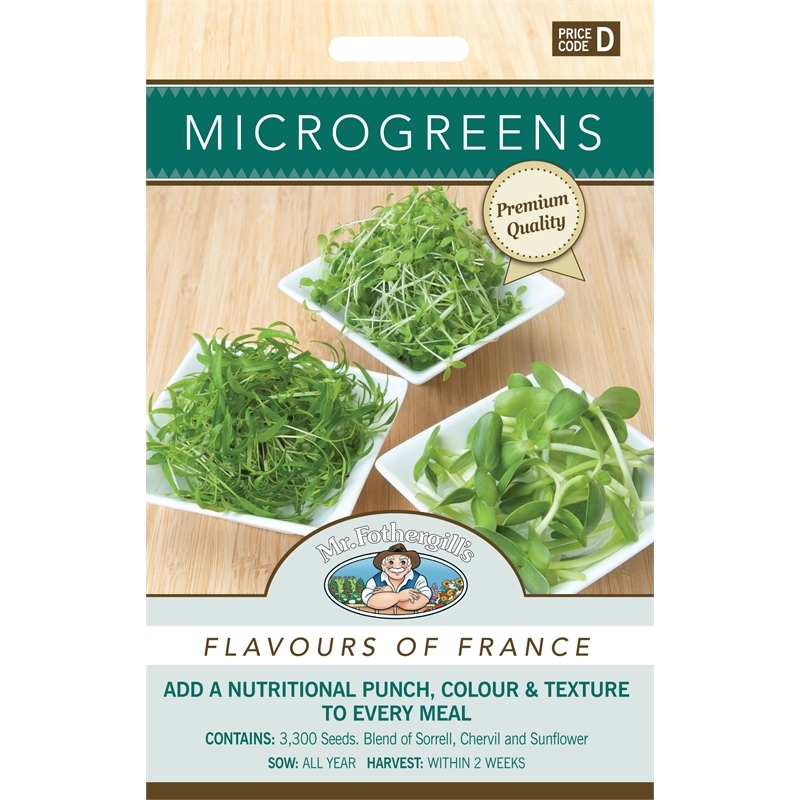 Microgreens – often called ‘Vegetable Confetti’ - are an exciting, colourful, gourmet alternative to sprouting and very popular amongst gourmet chefs. They are halfway in size between sprouts and baby greens, harvested usually within 2 weeks of sowing. 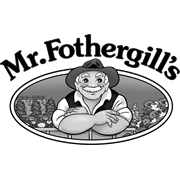 They are commonly grown in seedling trays and differ from sprouts in that they are grown in sunlight and harvested with scissors when there are two or more true leaves. 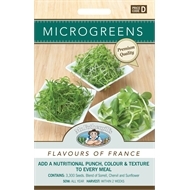 Flavours of France contains Sorrel, Chervil and Sunflower.